We’ve seen and discovered pretty much everything there is to know about Apple’s actual iPhone 6s hardware, so what’s left to lean prior to the September 9 unveiling? Well, there’s the packaging to consider, of course. With the packaging in mind, a new low-quality photograph has been thrust into the public domain, and allegedly shows off Apple’s official product packaging for its upcoming iPhone 6s Plus. 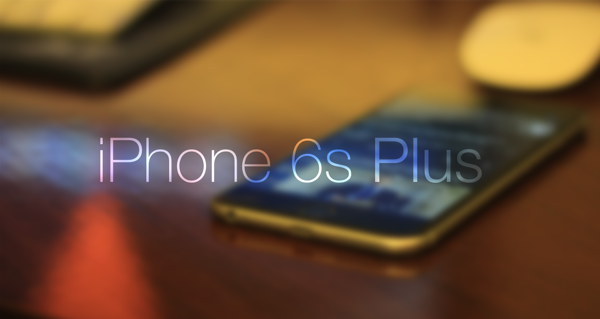 The image isn’t the best quality leak that we will ever see, but if it represents the final part of the iPhone 6s Plus, then it definitely shows us enough to give an indication of what to expect. And let’s be honest here, the iPhone packaging has remained fairly consistent over the years and that doesn’t look like it’s about to change. The photograph depicts a very familiar looking white box, sized perfectly to fit in one of Apple’s iPhones and accompanying accessories. No space wasted here, as usual. The box in the image is shown in its unfolded state and clearly shows the name of the device with the “s” encased in a square as was the case when the iPhone 5s launched. 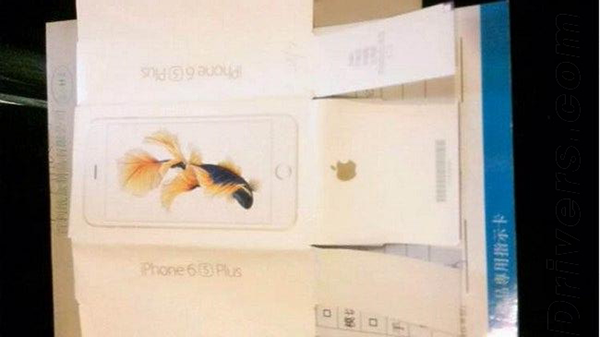 The top of this particular box appears to show a gold iPhone with a previously unseen wallpaper on the display of the device that shows a majestic black and gold fish. It’s likely that the different boxes for various color options will show a different device, and possibly a different wallpaper. What’s interesting though, is the rather thinner than usual material for the packaging that can be seen here. So, nothing really new or unexpected there; the iPhone 6s / 6s Plus will come in a box like all of Apple’s previous iPhones. However, what is new is that the same report is suggesting the iPhone 6s will ship with a reduced battery capacity. The current iPhone 6 model comes equipped with a 1800 mAh, with the 6s Plus packing a 2910 mAh variant. The report suggests that the iPhone 6s’ battery capacity will be reduced to 1715 mAh, with the larger 6s Plus coming with a 2750 mAh power source. If the speculations manage to hold their weight, then it’s highly likely that Apple has found a way to increase the power efficiency of the new models rather than launching a device that has a regression in battery life over previous models. As always, we need to take these unverified leaks with a fairly substantial pinch of salt, but with that said, there’s nothing entirely far-fetched or out of the ordinary here to suggest this isn’t a legitimate report. STOP MAKING THE BATTERY SMALLER!!!!! ya. what’s up with that? bigger battery is better. Bigger battery doesn’t mean better. It’s likely the new chipset is built on a smaller die (14nm maybe?) which will require much less power than the offset in battery size. I would like a larger battery too, but as long as they can give a full 24 hours of heavy usage, nearly everyone will be happy. For everyone having problems սոⅼοсking their AT&T phones, you can take a style at just google atttiphoneeuunloockiingfor excellent service, it’s the most trustworthy սոⅼοсking site I have ever use, never took us over 6 hours to ՍΝᏞΟᏟΚing any of my l0cked devices.